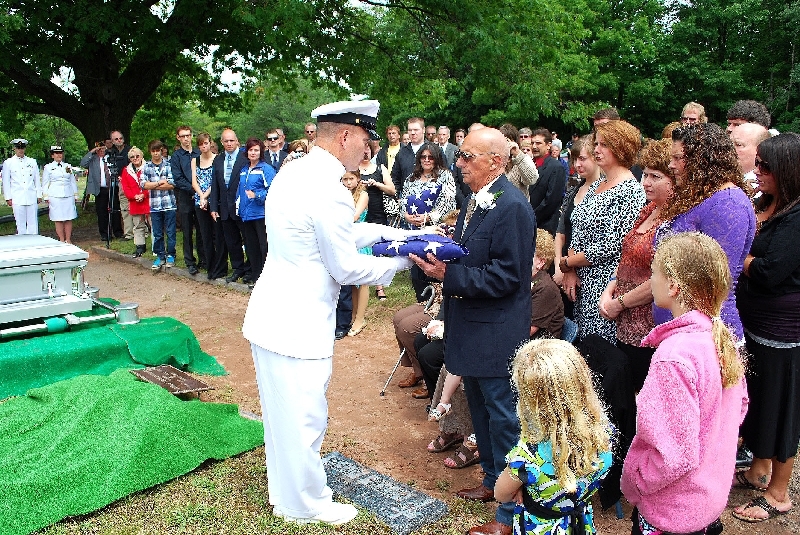 Gerald Lehman, Pearl Harbor fatality, 7 December, 1941, Finally Comes Home. 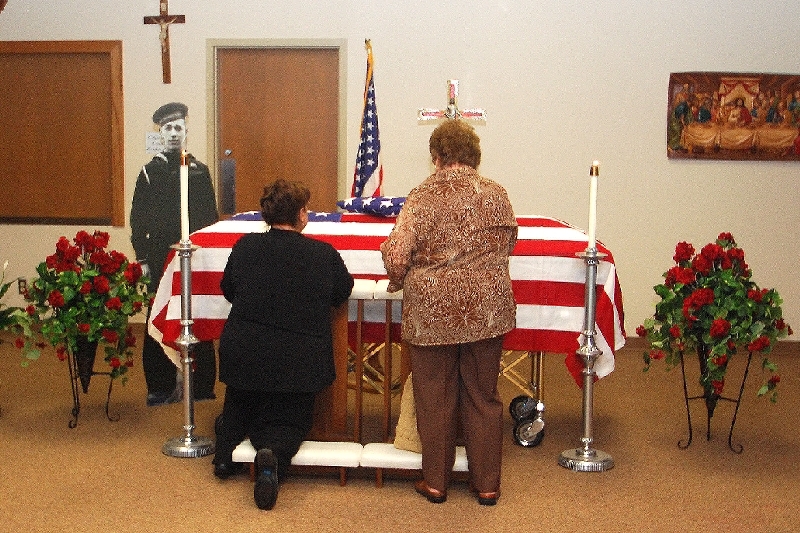 After 69 years of hopes and efforts by his family, USN Seaman Third Class Gerald G. Lehman’s remains were finally identified and sent back to Hancock, MI, his home town. He died aboard the Battleship USS Oklahoma, BB37, along with 429 others, when stuck by multiple torpedoes that opened up her side. The ship quickly capsized and settled to the bottom. 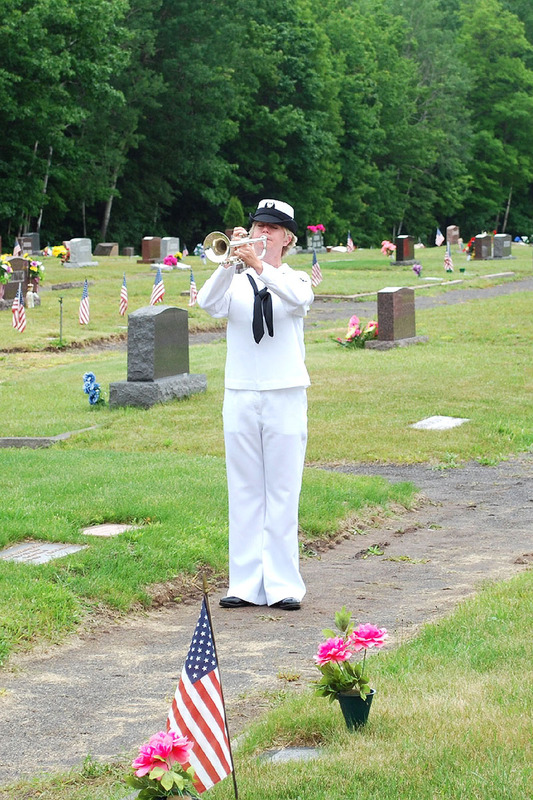 She would not be righted and refloated until January, 1944, allowing salvage personnel to finally recover missing sailor’s remains, which for lack of means to identify at the time, were buried in mass graves. 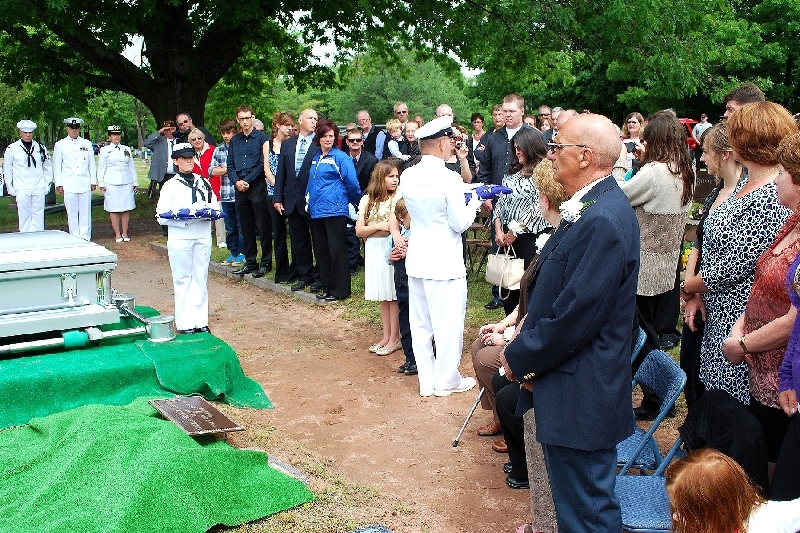 The remains of Gerald Lehman (18 years of age at the time), lie in State at Hancock’s Church of the Resurrection prior to a Memorial Service on June 12, 2010. His remains were finally identified by mitochondrial DNA found on envelope flaps of letters sent home prior to that fatal day. 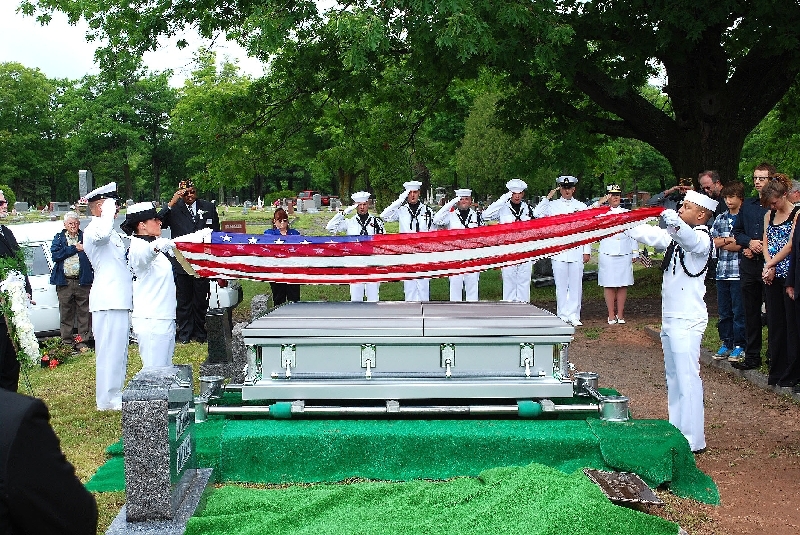 The official US Navy Honor Guard, who conducted the military honors and escorted the remains home, were from the Green Bay, WI Naval Reserve Center. 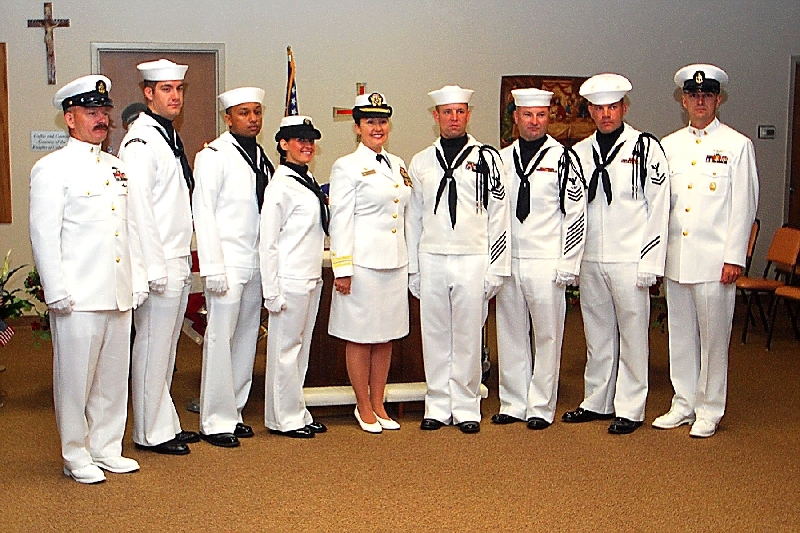 The Commander is LCDR Karen F. Muntean, USN. 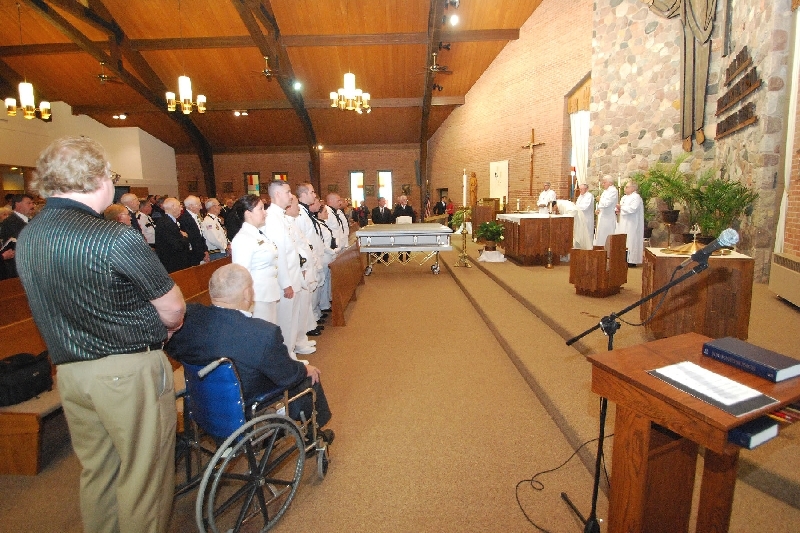 The casket is conveyed to the front of the Church for Services. One Veteran who was aboard the USS Oklahoma on 7 December, 1941 was in attendance, Paul A. Goodyear, as well as four other Pearl Harbor Survivors. A view as Services are about to commence. 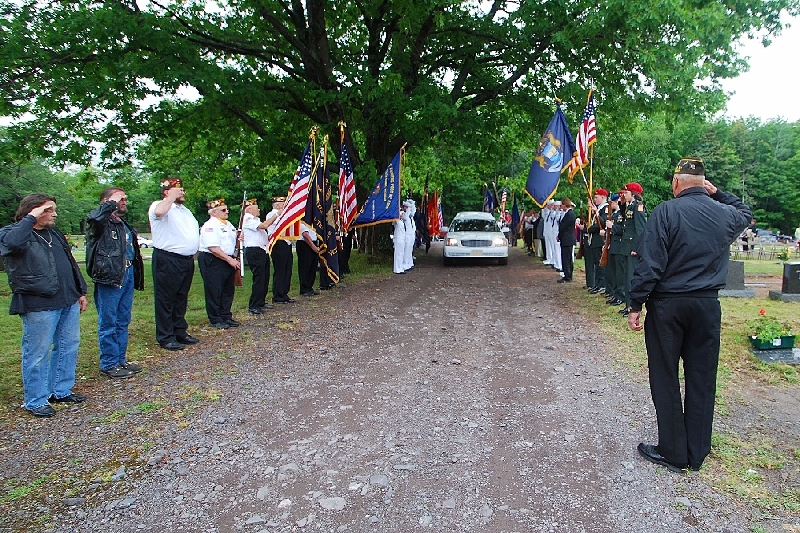 Following the Memorial Service in Hancock, the remains were taken to the Forest Hill Cemetery, Houghton, to be laid to final rest. 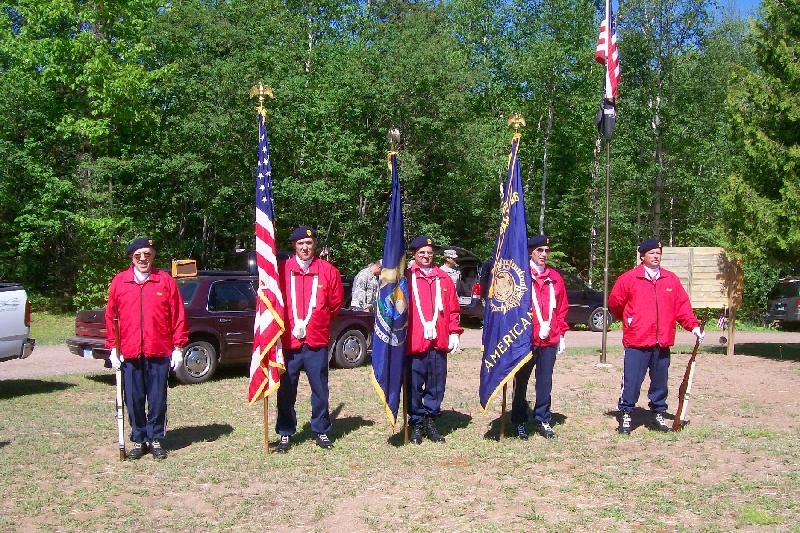 An Honor Guard, comprised of Upper Peninsula Veterans, Veteran Units, and ROTC Units, from as far as 150 miles away, lined the approach. 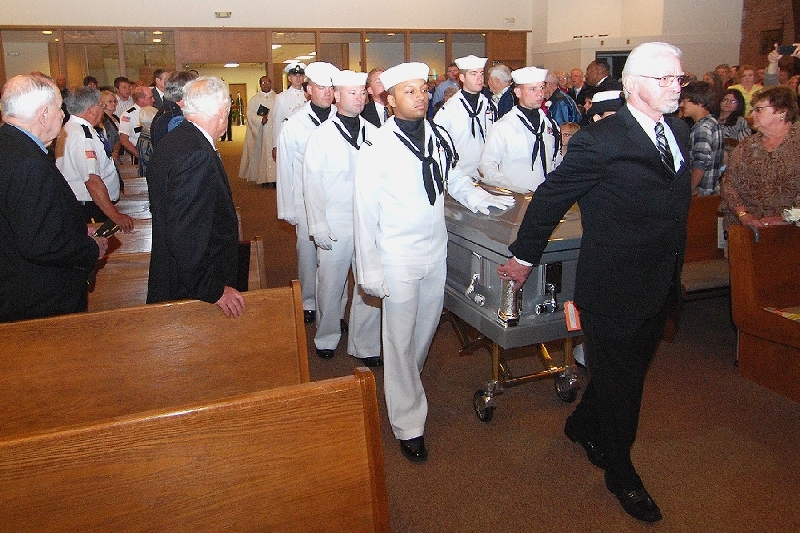 The Naval Honor Guard carries the casket to the grave side. A final salute by all attending Servicemen, current and past, in a silent tribute to those who gave the Ultimate Sacrifice for Country, Flag, and Family. 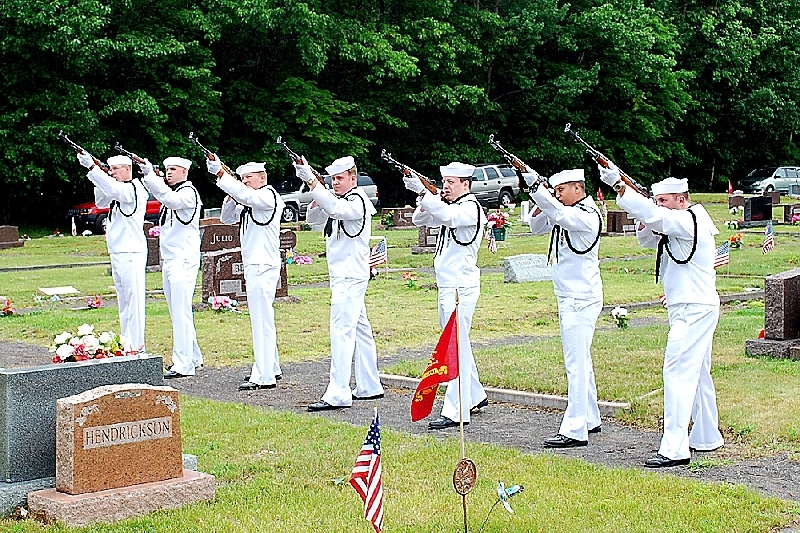 A USN Rifle Squad, from Great Lakes Naval Training Center, Chicago, IL, fires the traditional three volleys. 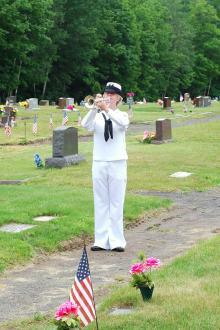 A USN Bugler plays Taps. 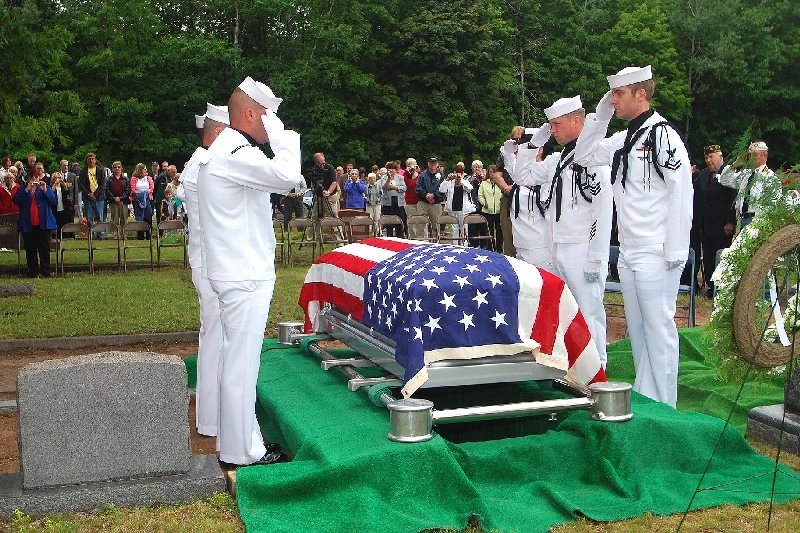 The American Flag is removed from the casket, and folded before presentation. 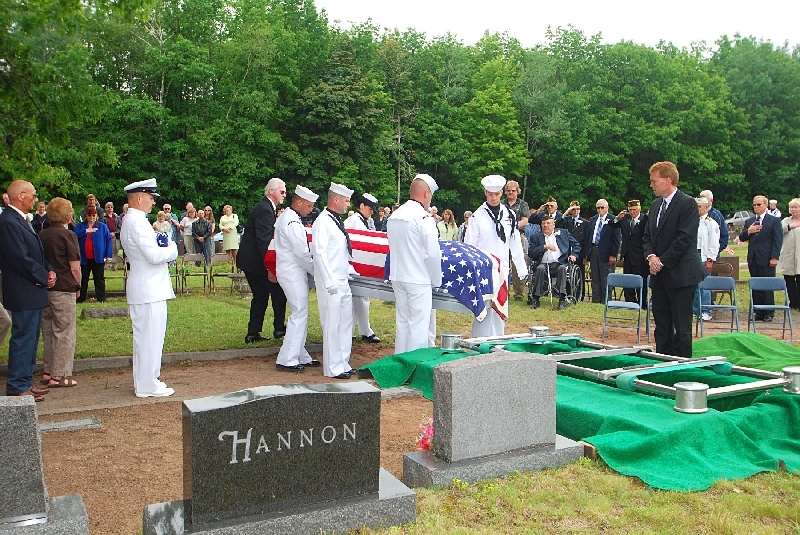 Two Flags alternately covered the casket, for presentation to two surviving families. One Flag is presented to niece Peggy Germain, of Calumet. 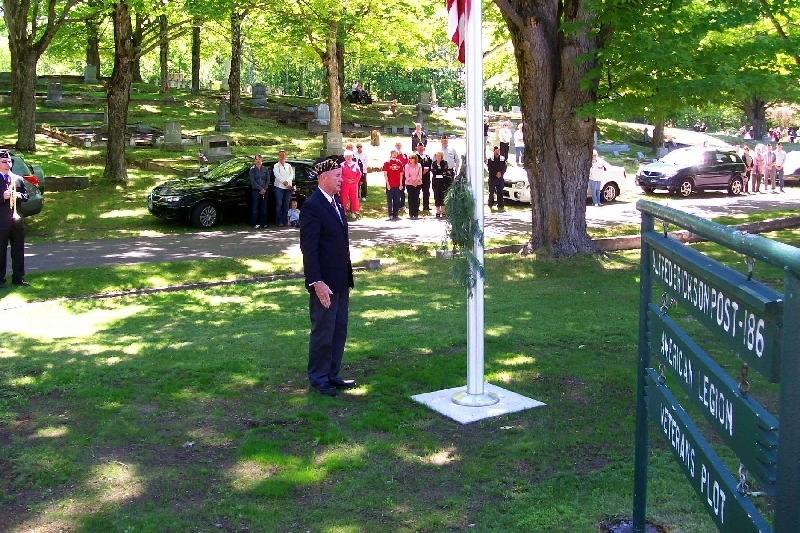 The second American Flag is presented here to nephew John Herres. 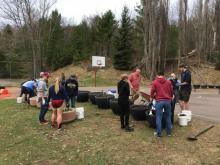 A luncheon was then held at the MTU Wadsworth Hall Cafeteria. PREVIOUSLY.... Alfred Erickson Post 186, American Legion,Hancock does Honors. 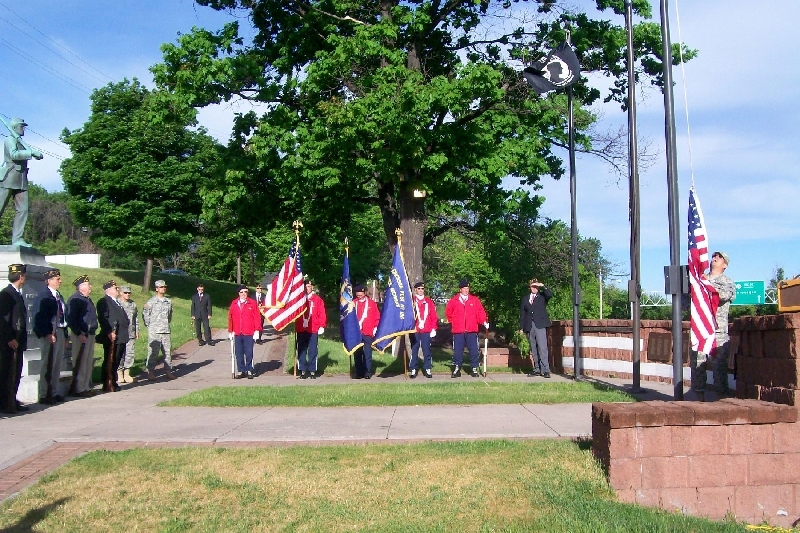 Post 186, Hancock American Legion, provided military Honors on Memorial Day at nine separate Cemeteries, plus a Ceremony at the Post Home.The Flag is raised, then lowered to half mast, at Veteran’s Park in Houghton. And again at the Liminga Cemetery, later in the morning. 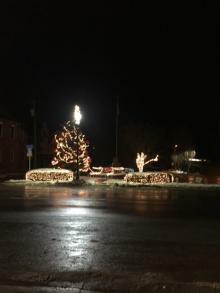 There was good crowd attendance at all stops, as everyone remembers that we are still at War. 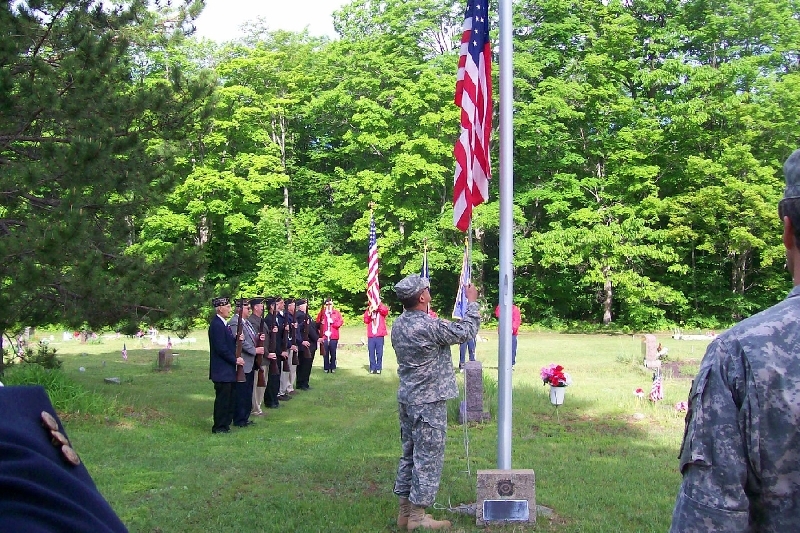 The Post Color Guard stands watch in the Wasa Cemetery. 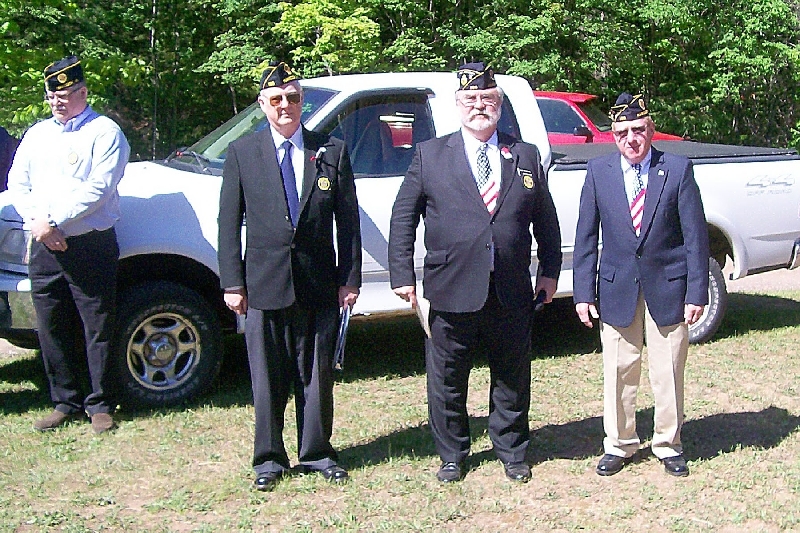 (L)Post Finance Officer Tim Jenkins; Post Chaplain, Paul Nelson; Post Commander Frank Taucher; Post Historian (& Rifle Squad Cmdr.) 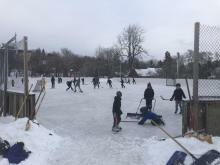 Phillip Verville, III, at the Wasa Cemetery. 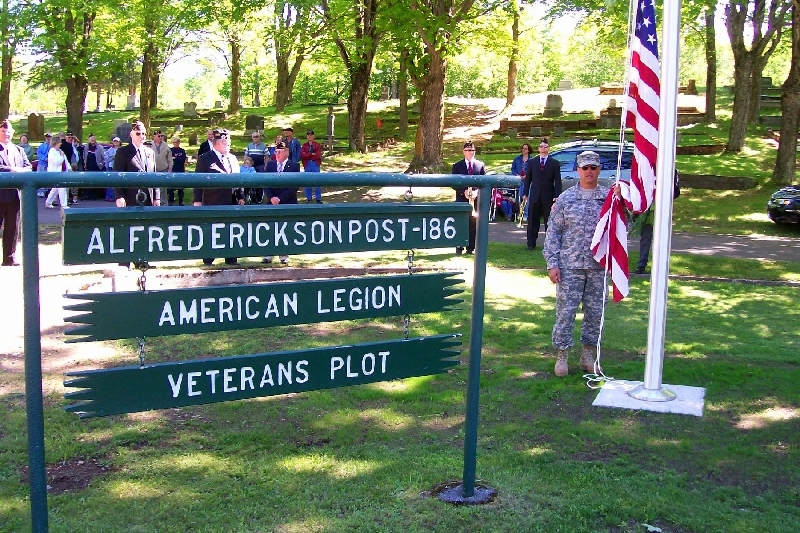 An Iraq combat Veteran and Post member stands ready to raise the Flag at the Post Veteran’s Plot in the Lakeside Cemetery in Hancock. The Wreath of Remembrance is laid, honoring our fallen who served our Country. 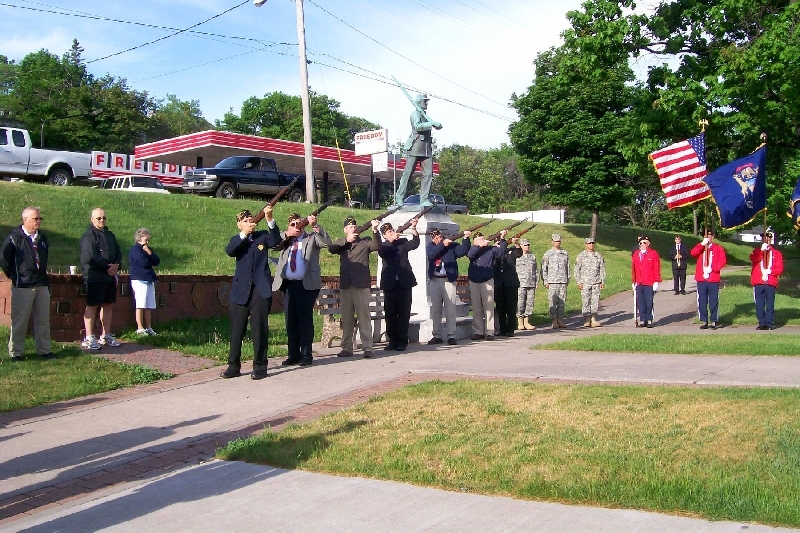 A rifle salute is fired by the Post Rifle Squad, at the Houghton Veteran’s Park. 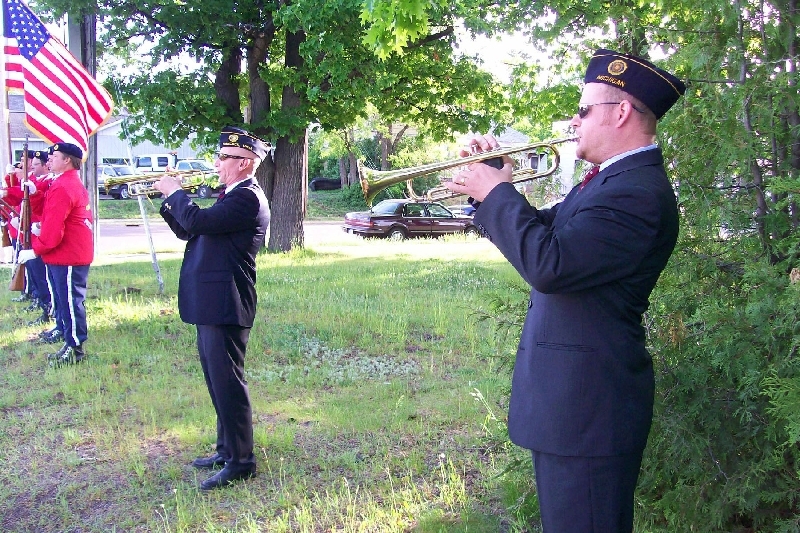 And a superb version of dual taps is played by long time Post bugler, Tim Seaton (L), and his son-in-law, Corey Packard.